As part of an ongoing series, Stepping Forward: Path to 2021, The Seattle Times is tracking a handful of the top prospects — among them, Justus Sheffield, Jarred Kelenic, Julio Rodriguez, Evan White and Kyle Lewis — whom the Mariners have identified as key figures in their “step-back” plan on their paths to the major leagues. Lessons on arm slots and high leg kicks and backdoor sliders came later. More than anything, the baseball-loving boys that Travis and Misty Sheffield raised in small-town Tennessee first had to learn how to pitch with passion. One word to describe Travis Sheffield’s philosophy on pitching? That was the overarching theme ingrained in his two oldest boys, Jordan and Justus. Never back down. Play hard. Don’t let anyone question your intensity. Jordan was right-handed and 11 months older than Justus, who was left-handed and stubborn. They did everything together — baseball, basketball, football, track and field — and took to pitching early. Dad was their coach every step of the way coming up, in some capacity, from 5-year-old Jordan’s first year of tee ball all the way through his senior season at Tullahoma High School. Justus was never far behind, because, well, because he refused to fall behind. He competed against Jordan and Jordan’s friends, constantly challenging himself against the older boys in whatever they were doing. You're right to be cynical about the Mariners' prospect development. Here's why you might be wrong. That competitive spirit carried both Sheffield boys into professional baseball. 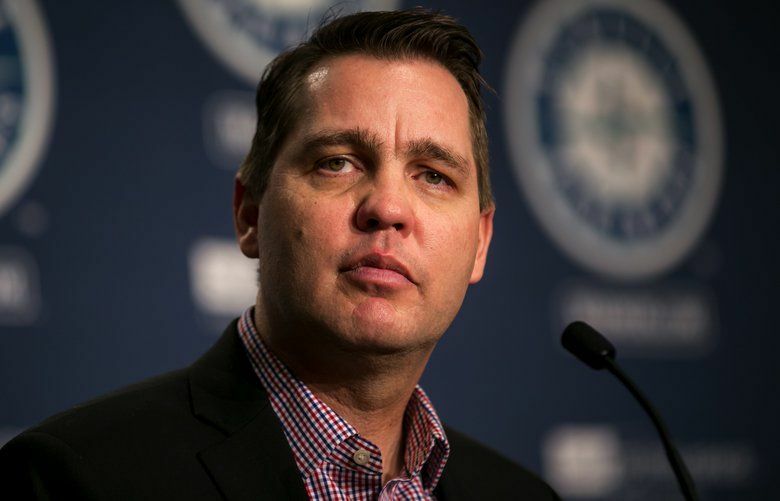 Andy McKay, Seattle’s farm director, said the Mariners believe strongly that Justus Sheffield can be front-line major-league starter. For now, McKay said the expectation for Sheffield is maintain his “competitive focus” in Class AAA Tacoma, even as the left-hander eyes a return to the big leagues. He made his debut Sept. 19 at Yankee Stadium. The whole family was at the game that night — Travis, Misty, Jordan, their youngest son Jaxon, plus Misty’s parents, Harold and Sandy. They had arrived in New York that day, then took their first subway ride from Manhattan to the Bronx. A few hours later, there was Justus on the mound at Yankee Stadium, set to pitch the ninth inning of a blowout against the rival Red Sox. And there was Mookie Betts, Boston’s star right fielder and the soon-to-be American League MVP, in the box with one out and the bases loaded. Turns out, they had some history. Justus was about 15 when in one summer-league game he first faced off against Betts, who is from Nashville and is four years older. This stage was much different. Justus fell behind in the count, 3-1, and then threw a 94-mph fastball on the inside corner. Betts turned on it and belted in into Yankee Stadium’s second deck — hooking it just foul. On the next pitch, a fastball on the outside corner, Sheffield got Betts to ground into a game-ending double play (the Yankees won 10-1) to secure a scoreless inning for one of the baseball’s top pitching prospects. The day is coming, soon enough, for Sheffield to again take the mound in a major-league ballpark. 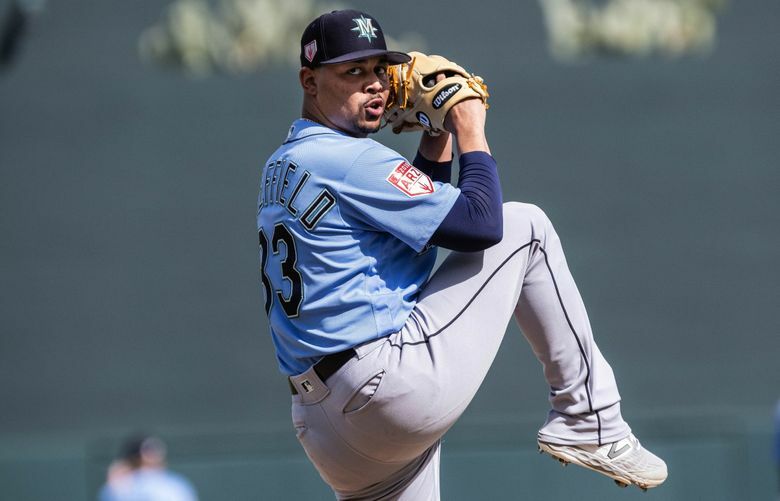 He isn’t sure when exactly he will get called up to Seattle — it depends on how he performs with the Class AAA Rainiers over the next few weeks, and how things play out in the Mariners’ rotation — but the Mariners have made it clear he is a focal point of their rebuilding plan. Speaking of Seattle’s rebuild, yes, Justus has been monitoring closely as the Mariners are off to the best start in the majors — 13-2 as they come home to start a six-game homestand Friday night against Houston. “You turn on ESPN every day and see something new — a new record broken or something like that,” he said. “It’s cool to see, because hopefully myself and some guys here (in Tacoma) can go up there and contribute, whenever that is. It just looks like they’re having fun. The 6-foot, 200-pound left-hander (who turns 23 on May 13) started for the first time at Tacoma’s Cheney Stadium on Friday night against Albuquerque. He was not pleased with his first start for the Rainiers last Sunday in Sacramento, in which he allowed four runs, all earned, on three hits, with five walks and one strikeout. “Honestly, I kind of got out of myself a little bit, but I’ve been putting in the work this week and I’m going to get back at it and get back on track,” Justus said. Sheffield went four innings Friday against Albuquerque, allowing five hits and two runs (one earned) in a 10-3 Tacoma victory. He struck out two and walked three. Back in tiny Tullahoma, Tenn., the Sheffield brothers were “the talk of the town” before they even enrolled at Tullahoma High, White recalled. When Justus was a freshman, he joined the varsity starting rotation that featured Jordan, then a sophomore, and a senior named David Hess. Tullahoma, with a population of 19,229 as of 2017, has produced a handful of pro baseball players, including Travis Sheffield’s cousin, Tony, an outfielder drafted by Boston in the second round in 1992. There’s also Tullahoma High products Dewon Brazelton, who pitched for Tampa Bay and San Diego from 2002-06; and Bryan Morris, who pitched for Pittsburgh, Miami and San Francisco from 2012-17. Justus remains close with Hess, and when the Orioles visited the Yankees last September, Hess and the Sheffields pitched in to pay for White and his wife to fly to New York, much to their old coach’s surprise. White is already planning his next trip to see Justus pitch, this time in Seattle. Surely, he’s not the only one.